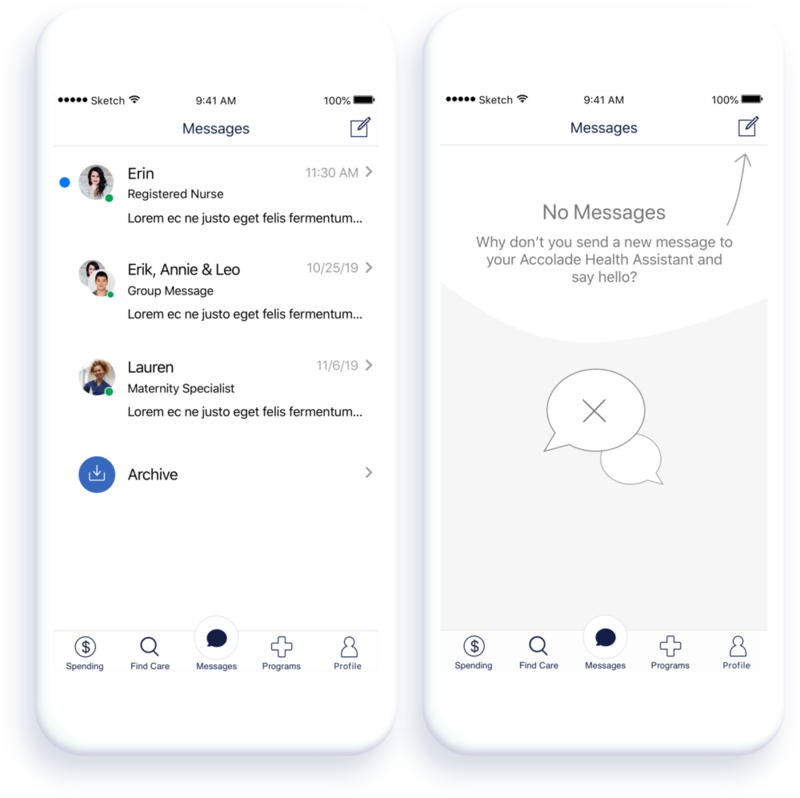 Messaging enables Accolade’s users to easily and asynchronously connect with their nurses, clinicians and health assistants for help navigating the healthcare system. As the lead designer of Accolade’s mobile app, I independently designed the messaging feature. Typing indicator & “announcement” signifying participants leaving and entering the message.